Food plays an important role in our health and fitness. According to Ayurveda (knowledge of Life), cooking is not just about palatable food and flavourful dishes, rather it is the key to continuous good health. Ayurveda cooking means preparing food that ensures optimal health of body and mind. Ayurvedic cooking includes the knowledge and use of herbs, spices, vegetables, legumes etc to maintain physical, mental, social and spiritual harmony. Ayurvedic principles can be applied to any style of cooking. Herbs and spices like Turmeric, Cumin, Hingu, Fennel have great health giving benefits as well as adding flavour to any dish. Ayurveda foods are appetizing, flavourful and aromatic and offer healing and good health when served in an inspiring atmosphere. Ayurveda foods help to clean the accumulated toxins (which are a result of improperly digested food) and rejuvenate the body as each dish is cooked and spiced to achieve maximum digestibility. Every individual has a unique body constitution (Dosha) and needs different foods to maintain overall health. For example, Vata is a cold dry dosha, hence person with Vata as predominant dosha need warm, nourishing food s, while the Pitta person requires cool food to balance his fire element. Ayurvedic cooking also take into account the effect of cooking method on the quality of the foods, the feelings of the cook and of the vibrations of surrounding atmosphere, the compatibility of foods, the time of cooking and eating, the cycle of the seasons. Ayurveda considered food as a stimulant to a higher consciousness. Thus, Ayurvedic cooking is both an art and a science. Food properly cooked and consumed work as a great medicine and helps one to lead a long, energetic and healthy life. Ayurveda cooking is not difficult, with a little knowledge you can cook an Ayurvedic meal with the help of commonly available ingredients. 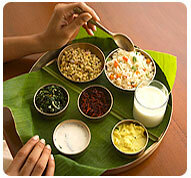 Pulses, grains, spices, fresh vegetables and fruits, ghee, and milk products play major role in Ayurvedic cooking. A balanced Ayurvedic diet should include all six tastes in a meal - sweet, salty, sour, astringent, bitter, and pungent. In this cookery class we will cover the nature and use of many herbs, for both flavour & health, including: Turmeric, Ginger, Coriander, Hingu, Cumin, Cinnamon, Fennell, Ajowan, and Black Pepper among others. The aim of this course is to enable you to prepare delicious meals using all six tastes. Once you get to know the use of different herbs and spices you can vary them in the cooking to create meals suitable to your own nature. Nutrient loss is a consequence of nearly every cooking process be it Vegan or Non Vegan. Exposure to heat, light or oxygen will alter the nutrients found in food, and cooking methods that involve water often reduce the amounts of nutrients, as these get ‘washed out’ and left behind, leaving few Nutrition’s for our bodies. 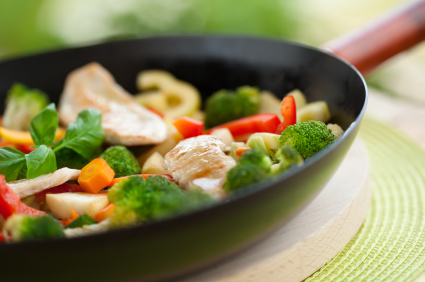 Surprisingly, the way you cook your food has a major effect on the amount of nutrients in it. The topics we cover in our “Ayurveda & Nutrition Cooking course 1” include:. • Understanding your Prakriti (body type) and choosing the correct foods for you. 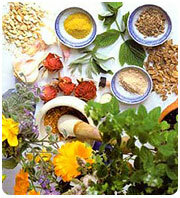 • Ayurveda nutrition & diet management for common health issues. The proof of the pudding is in the tasting!! - we will prepare lunch for all the course participiants on the day. Dr Rajvinder Kaur has a six year degree in Ayurveda from the “Kurukshetra” Ayurvedic College and also has a diploma in Natropathy. She has a wealth of experience in the preparation of Ayurvedic meals and is an accomplished teacher. Ayurvedic cooking is not complicated, with a little knowledge you can make healthy delicious meals in a short space of time, so "let food be your medicine" and join us on our next course. Saturday 25th May 2019: 11am - 4pm . Knox Hall, Monkstown, Co.Dublin. For peopel who have already attended course 1, or who have a good understanding of Ayurveda cooking and the use of spices.